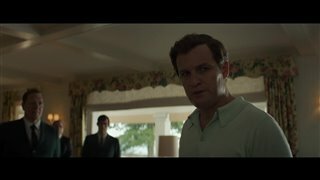 After midnight on July 18, 1969, Senator Ted Kennedy (Jason Clarke) was driving his car to the ferry after hosting a party on Chappaquiddick Island, Massachusetts. 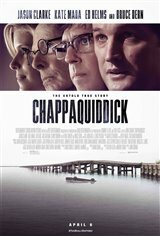 Also in the car was Mary Jo Kopechne (Kate Mara), 28, who had served on the 1968 presidential campaign of Ted's older brother, Robert Kennedy. 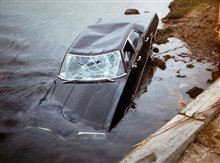 While driving over a one-lane bridge, Kennedy lost control of the car and it plummeted into water. He managed to get free and onto the bank. He walked away and brought back a couple of friends to see if they could extract Mary Jo from the car, but they were unsuccessful. Although Kennedy, who was married, later vowed that he was not having any illicent relations with Mary Jo, he returned to his hotel did not report the accident to authorities. At approximately 8 a.m., the vehicle was found by two fishermen who reported it to the police. Mary Jo's body was found and extracted from the car within 10 minutes. 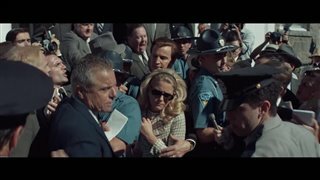 With three of his older brothers dead, in 1969 Ted is his father's (Bruce Dern) last hope for the presidency. Although he considers Ted a "ne'er-do-well," he enlists spin doctors to work on covering up the incident, using the Apollo 11 moon landing as a distraction.